Germs. They are all around us and impossible to totally eliminate. Now we all know it’s important to keep clean and on top of the housework but perhaps more so for us CFers. Well because the CF lungs produce sticky mucus, it provides a perfect home for germs and bacteria to set up camp and multiply. This can not only cause inflammation but also lung damage. You see as the body sends it’s trusty defence mechanism, the white blood cells, (I like to imagine them brandishing swords) to attack the germs, the lungs become inflammed. Which ain’t good news as inflammation can create more mucus, and in turn blocks the airways which allows more germs to spawn! What a nuisance!! But before we get into the nitty gritty on preventing the blighters from entering the lungs, let’s take a quick moment to define what germs are and where they are found. They are microscopic, and invisible organisms that cause infections. Simples. Common types of germs include, bacteria, viruses, yeast and molds which can be found anywhere, from the air to soil, to food and animals. They are everywhere. Like I said above, when germs find somewhere to call home, they multiply. How are germs spread? There’s a couple of known transmission routes, the first of which is direct contact. So shaking hands with another person or hugging, kissing and high fiving ✋ can spread germs. Things like the common cold, or even Psuedomonas Aeruginosa and Burkholderia Cepacia (known CF infections) can be spread this way. Now indirect contact can mean touching a doorknob then touching your eyes, nose, mouth or sharing things like cups or cutlery. All pretty obvious stuff right? Another means of germs spreading is through droplets in the air. When someone talks, sings, laughs, coughs or sneezes they create small droplets of liquid, which may contain germs inside. These droplets can travel up to 6 feet before falling onto surfaces, be breathed in or even land on the eyes, nose and mouth… (yuck!) The flu (influenza) or whooping cough (pertussis) are spread this way. Some germs cling onto dust particles and travel through the air for a long time. Air currents can take them quite a way and illnesses such as Tuberculosis, Measles and Chickenpox can be spread this way when another breathes it in. Let’s move onto the different ways of taking the necessary precautions to prevent germs. Obviously there’s no real definitive way of keeping 100% germ free and actually being too clean can become problematic for your health too! So it’s good to find a nice balance. 2. So aside from cleaning hands, cleaning the home regularly is super important too. I’ve become accustomed to wiping down things like light switches, door handles, and counters. Even things you don’t usually think about like the fridge door handle, the kettle or the lid of the bin. 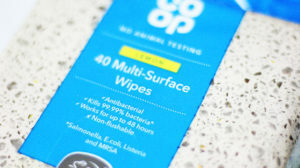 It’s so simple to use an anti bacterial wipe and just quickly go over the main bits. Now I’m not saying I do this every single hour of every day because that would be border lining OCD!! Just perhaps every other day/ when I remember! Something that we use on a regular basis is our phones, or tablets. 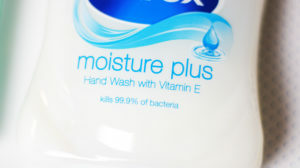 It goes everywhere with us, in our pockets, on a desk, in a bag, so it’s bound to be a carrier of germs including MRSA. Again just by wiping with an anti bac wipe can really make a difference. Just make sure you don’t get it too wet, and cause damage to the tech! Keep in mind computer keyboards, mouses and laptops too. 3. Chopping boards that have lots of knife indents can tend to hide bacteria especially in wooden or plastic ones so using a non-porous ones like glass or even a bamboo chopping board which tends to be more resistant to germs. 4. Have you ever used a Loofah? You know those plastic/natural mesh material sponges that you use to exfoliate your skin in the shower? Well they are a dumping ground for bacteria! If you think about it, people use a loofah to get rid of dead skin cells which actually gets stuck in the nooks and crannies of the mesh. SO when you leave it in the humid, damp, warm shower afterwards, it grows an astonishing amount of bacteria! And when you use it the next day, you are just spreading yesterdays germs onto yourself…which kinda defeats the point of a shower! Some Loofahs can host Pseudomonas Aeruginosa and MRSA. Which obviously ain’t good. Now if you’re desperate to keep using one, then you gotta maintain it properly! That doesn’t mean giving it a rinse with anti bac soap. This means shaking it out of excess water after every use and then hanging it up to dry outside of the shower. Every week it should be soaked in diluted bleach… but to be honest, it sounds like a lot of hassle so it’s probably best to not use them at all or use a flannel which can be chucked in the washing machine! 6. Hoovering! Did you know it’s next to impossible to remove all the dust and bacteria out of a carpet no matter how many times you hoover it? So if possible, laminate or wooden flooring might be beneficial not to mention easier to clean. 7. Boiling up your Nebs at least every week is super important too. Especially as we breathe medication through it and could also breathe in bacteria right into the lungs. Obviously cleaning in between treatment is necessary, taking care to shake off excess water and air dry. 8. Most of us CFers I assume have at least one inhaler. But how often do you clean yours? I’m talking about inhalers like the Fostair or Salbutamol. 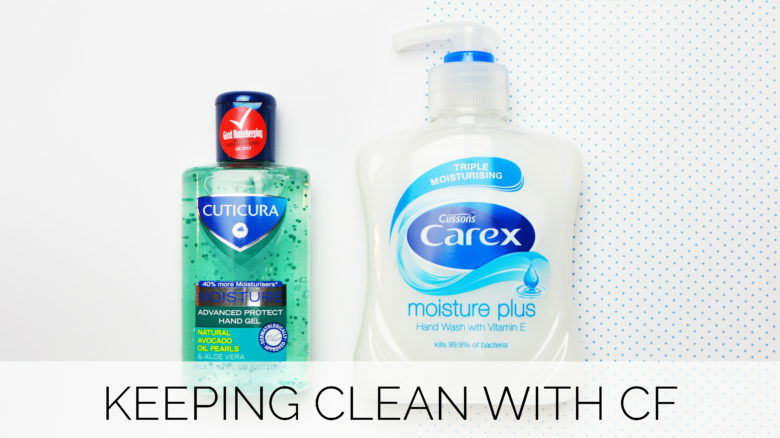 We chuck them in our bags to take with us when we go out, we chuck them in our room, maybe on a desk or a drawer… Think about all the germs and bacteria that could be lurking around in there! Then of course you breathe it all in when you take a puff from it! 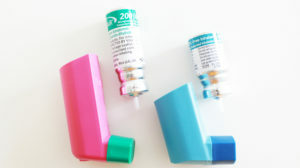 It is advised to clean these inhalers at least once a week by removing the canister and the lid, then rinsing under warm water for 30 seconds. Do the same for the lid too but don’t ever put the canister in water! Then you gotta shake out that excess water (shake it like a polaroid picture!) and preferably leave it over night to dry completely. If it doesn’t dry properly it will can cause blockage, and you don’t want that! 9. Dust can be a right old pain for us with respiratory problems so keeping on top of the dusting can help. I have found dusters like Pledge to be really good at not aggravating dust into the air. They have some kind of sticky chemicals to trap the dust in its fibres and also has a long handle to reach places you wouldn’t normally see… for example, how often do you dust the top of your door? 10. Now I’ve heard mixed reviews on the use of ‘Vog masks’ which are basically reusable masks that protect the wearer from dust, pollen and other particles in the air but not airborne contaminants. I’ve now confirmed with the CF Trust that this is the case. On the other hand the ‘Cambridge mask‘ states on its website that it blocks and kills 99.77% of airbourne bacteria and 99.6% of viruses as well as keeping out dust, air pollution, pollen… etc So it looks as if the Cambridge mask might be better (and also cheaper!) for us CFers or indeed anyone with respiratory condition. I contacted them directly to find out more about how their masks could help someone with CF. They said this: The Cambridge Mask blocks particles down to size PM0.3 and provides the benefit of blocking many microbes including bacteria such as Pseudomonas and fungus and fungal spores, although these can be of variable size. Cambridge Masks‚ are non-disposable, meaning that you can use them for potentially 340 hours of active use, or 6 months of daily use during a commute or other activity. The length of time they are suitable for depends on how polluted the environment is when you use it. A general guideline is that you can use the masks on a regular basis for 3-6 months before it needs replacing. Once the mask is past its useful life a new mask is needed. So there we have it! I’m tempted to try one out and see what they are really made of! I think it would be particularly good to use on airplanes, where people are confined to one area and the air con is circulating germs and bacteria. Or even travelling to highly polluted areas such as China, or India. Or perhaps when someone else is ill like family or friends and it could be a great way of staying far away from those pesky germs!! 11. The same goes for Air Purifiers. Recently I’ve been hearing about how they help to reduce dust particles, pet dander, mould spores etc which seems like a great idea. If you are thinking of getting one then it is recommended to get one with a HEPA (High Efficiency Particulate Air) filter which removes 99.9% of the above from the air. Do they work? Yes, I guess for those who suffer from allergies. But again, have a chat to your CF team if you’re thinking of getting one for yourself. As someone who includes house sitting in my job as a dog walker, I have stopped accepting house sits from people I don’t know. That is to say, I house sat for a family once whose house was disgusting. Full of dust and pet hair, and just generally not nice to live in. I actually used to go home and shower because it was that bad! But I’ve stopped taking on those jobs now as I can’t ask the owners before meeting them if they have a clean house or even, I can’t meet the owners and take a look at the house before saying, ‘I’m definitely not staying here!’. Might seem a bit rude. So I only house sit for the people I know, and also who keep their house regularly clean. Overall, it’s not about hoovering and dusting at every opportunity because for one thing, that’s all you’ll ever be doing and have no time for anything else, and another, it’s not entirely healthy! Splitting everything into small sections, like cleaning the bathroom on a Monday, and dusting on a Tuesday can probably help ease the workload. Don’t forget that germs cannot be completely avoided but taking a decent amount of precaution can help to reduce the risk of getting infections. 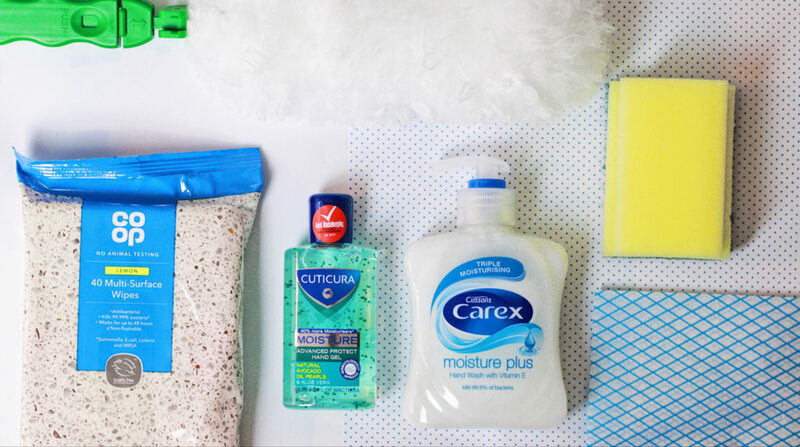 What cleaning tips do you use? Drop a comment below, or message moi on any of my socials! Subscribe here to be the first to know when an exciting new post has been released! Just enter your email address below and I'll do the rest!